As a curator for Slamdance’s Department of Anarchy, I make a point of seeking out weird and wonderful films from around the world. One of my favorites from 2016 was Alice Waddington’s Disco Inferno. Even by our high standards, the short displayed a virtuosic command of production design, costuming, and cinematography with a delightful retro vibe that recalled Hammer Horror with a dash of surrealism. The success of Disco Inferno led to her debut feature, Paradise Hills, a project that made significant buzz at the Fantastic Market a few years ago. Without giving away too much, the picture follows a young, rebellious, upper-class woman sent to a rehab/brainwashing facility that transforms its patients into Stepford Wives. Additionally, this plot unfolds within a lush, imaginary universe of flying cars and holograms with a dizzying array of references to haute couture and art history. On a visual level, the result is staggering. As a story, the reaction has been mixed among audiences. The messaging about female objectification and male gaze is delivered with the subtlety of a sledgehammer. However, the work needs to be accepted on its own terms. 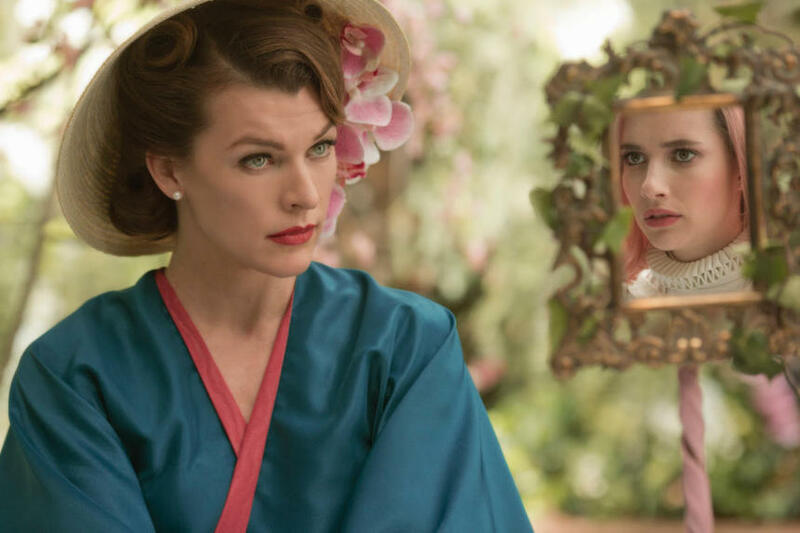 When I asked Alice if her film was an allegory, she gave me an unequivocal “yes.” And, perhaps, for the YA viewers for whom this film is partly intended, that is not a bad thing. In any case, the film just premiered at Sundance 2019 and I had a chance to sit down with Alice and chat with her a bit about what looks to be a highly promising career. This is your debut feature but it reflects a highly creative and sophisticated understanding of costuming and production design. What experiences led you to this level of proficiency? What is your professional background? I began as a costume designer and also interned in camera departments for several films. From the ages of 16-21, I had worked in some 12 features and short films. Even though my parents had no industry background, they have a friend from university that did. My other background is in photography. At 18, I was one of the youngest photographers shooting for the Spanish edition of Harper’s Bazaar. I was just trying to see where the discipline would take me. Then, an agent that I had at the time in Spain for fashion photography encouraged me to begin working with DSLR video, and I started making fashion films. Another thing I had been developing was costume design. I participated in the design of costumes in films such as Magical Girl, which won at the San Sebastian Film Festival. I realized that the key to creating something that people loved was to just make something that you adored; something that you were passionate about. Calling the setting of your film “lush” would be an understatement. Could you tell us a bit about the locations used in the film? Did they inspire your story? Our locations were mainly in Barcelona and the Canary Islands. They ranged from Brutalist palaces that housed architects, to ochre cliffs in the Mediterranean coast. There’s also an homage in the film to the modernist architecture of Barcelona – which looks like gloriously melting Art Nouveau – and to Spanish Middle Eastern interiors. For example, the speaker that you can see in the Residence’s Meditation Room is a gigantic reproduction of a Modernist spyhole that I photographed in a building and pinged to our female production designer, Laia Colet. The process of selecting these locations was truly creative, because we were crafting a fantasy world from scratch. There’s only two digital locations in the film: the ballroom that opens the feature – which was shot on green screen – and the scenes that were shot in the ocean. All the others were practical sets. For instance, the room I was mentioning above was a Gran Canaria parking lot to which Colet added real grass and some panels with boschereccia or wooded gardens painted on them! Spanish resourcefulness. How long did you scout? Easily for four months. Also, Laia Farran’s (female head of locations) work in this film is remarkable too. I gave her a 23-page document that became hilariously well-known within the Spanish production world, because it shamelessly described every single location in the script using some three to five Spanish options for it, plus paintings, film screenshots and other images that could help the team in any way. But Farran had to turn it inside out to find spots where we actually could shoot! Definitely, one of the unsung heroes of this film. Could you tell me just three films that inspired your film? Picnic at Hanging Rock, The Princess Bride, and… the British TV Series The Prisoner! I was a big fan of your previous short DISCO INFERNO. It was late last night, but I seem to recall the repetition of certain motifs such as the creeping vines in the rose garden. Is PARADISE HILLS part of the same universe you began in DISCO INFERNO or is it something else? Ah, yes, I did steal from myself!! Beyond the visuals we already discussed, both films are about women who are trapped. Disco Inferno was about a woman who’s unhappy with her job and condemned to do it over and over again for all eternity. And Paradise Hills is about women who truly want to be themselves, who they are, when their environment simply won’t allow it. In some cases, their parents. In some cases, their partners. And they want to change them into their idea of a woman that doesn’t really exist. Did any of the visual ideas of your film come from dreams? I am a terrible dream journaler. I tried for a while and it was utterly impossible. I’d say my ideas come from daydreams instead. I was always that kid doodling in their Spanish textbook. I also think it’s empowering to own up to my ideas in a way that is conscious as possible. Of the group of teens at the Paradise Hills “Residence,” do you identify yourself with one of them in particular? Or all of them? Here’s the easy answer. Directors often identify with their protagonists. And I think that a few girls will see themselves in Uma’s relationship with her mother, and in the pressure to discover their ideal persona maybe too early on in life. I do think it’s really important to tell women that they can and should take care of themselves when plausible and possible. I adore men— they’re my partners, my friends and my family. But that does not exclude the idea of being your own hero, or your own knight in shining armor, if you will. Does your film echo any particular experience from your youth? For instance, did you ever break curfew? Was there anything from the film that replicated an episode from your teenage years? My parents were also then trying to understand the fact that I am a Queer person. I was living under constant inner turmoil and would bind my chest, cut my eyelashes, and to top it all off, I was obsessed with getting into a band called ‘Killer Crab Louses’. Nowadays, I just watch my best friend drink red wine with her cats at home and direct films for that same teenaged self; that really just wanted to fit in. With Uma herself fleeing her home, it’s a bittersweet moment, but not a moral tale — just a natural reaction to having one’s freedom restricted. Is your film an allegory? Visually, it’s one allegory after another. One could say there might be one too many! (laughs) It’s like a fairytale or a bedtime story, with a strong message of coming together as women, to rescue ourselves. Whether you like it or not, you’ll hopefully identify with the plight for identity that Uma suffers through. She wants to find the people who will love her for who she actually is, instead of having to change as her social entourage seems to want her to. What is your attitude toward camp and melodrama? Is that a part of this film? Oh yes, yes, our feature really is kitschier than Liberace’s entire piano collection, and that’s utterly intentional. I wanted to take fairytale resources from films like The Princess Bride and crank them up to eleven. Our feature is meant to be a fun adventure for our younger selves, sparing the cynicism of adulthood. For example, I’ve heard our film compared to The Handmaid’s Tale, which I love; but Paradise Hills is so much softer, and campier. It would be like comparing Transformers to The White Ribbon. Both are awesome in their own ways, but I would not personally dare put them in the same box. I also think it’s cool how the Residence is so beautiful yet the characters feel immediately skeevy about its methods. You know how some of the nicest neighborhoods by day become the most terrifying at night? Some of the villains in your story are maternal figures. I’m sort of curious where power and control of the female body originates in your imaginary universe. Is it the product of male desire, or is it a complex form of self-observation? The entire story is indeed about institutional, physical and mental control of men and women through an impossible idea of perfection. This message is very much for our young folks. They’re very exposed to this brand of poison, because of the constant presence of social media in their lives. And we just want to tell them there’s no such thing as a perfect man or woman. Infantilization is a common way of limiting folks’ power or influence, and maternalism or paternalism from power figures only feeds into that: if we reduce our sons or daughters to people who don’t really know what they’re doing, we do render them powerless. Basically, when they were chatting, Ryan made a statement at Gaga and then pointed the mic at her. But he didn’t technically ask her a question, so she was like, “You didn’t ask me a question.” It was slightly uncomfortable! FYI, Gaga already won an award tonight in the pre-show portion of the Grammys. Her song “Joanne” won Best Pop Solo Performance, and Gaga joked that she was so excited that she wouldn’t be able to wear makeup because she was crying so much. In the past few decades Asians, especially Indians and Pakistani, have been coming to the UK mainly as qualified experts in their area. And along with their culture, they brought great wedding ceremonies as well. As we know the wedding is an event that is a celebration of a formal bond (marriage) between the couple in love. And though weddings are always fun, the Asian ones are a unique thing – with a festive atmosphere that can last for a few days it is something you have to experience. If you are planning to organize your wedding or have some Asian friends are on that path also you might want to take a look at why is the bridal makeup service so important. You already know that the bride wants to look stunning and her best once the best day of her life comes and that is the marriage day. And though makeup doesn’t have to be that complex the traditional Indian, Pakistani, Bangladeshi, Somali makeup is. The goal of it is to fit perfectly with the wedding dress and the rest of the atmosphere as well. That is why hiring an Asian bridal makeup service is quite important. Let’s go ahead and take a look how can you benefit out of it. 1. 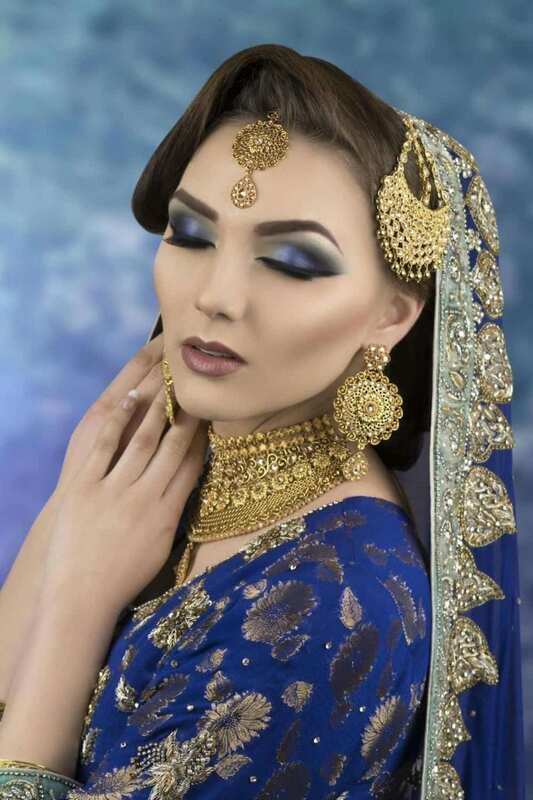 If you are in the area of Manchester you are lucky as the Asian bridal makeup service Manchester is one of the best throughout the UK. You will be able to get excellent treatment for a reasonable and a fair price. On the other hand, if you were hiring a regular makeup artist you would probably pay more and not get all the traditional details included. That is where this makeup service steps in. 3. Getting the right bridal makeup done is crucial for later photography and video sessions as well. Asians have an extra interest in being able to resemble on the beautiful wedding ceremony a few years after and that is why this service is of utmost importance as well. And what kind of photo would it be without a stylish and traditional bride being a major point of the festive atmosphere? As mentioned above the photography service is really important as well and luckily there in the UK, it shouldn’t be a problem. There are professional photographers who are familiar with the atmosphere and know how to capture even the slightest details that could become a major point. From the send-off ceremony to a bridal shower and the final party taking photos and recording is something that is essential for an Asian wedding. And it is a great way to make the already festive atmosphere much better without just a few photo shots! Both the Asian wedding bridal makeup service and the Asian wedding professional service are beneficial and almost an essential part of the few days ceremony. By hiring the team of professionals you will be sure to get the best treatment and all your requirements fulfilled without breaking your budget. They came, they trolled, they truced. After sparring with each other for years, Ryan Reynolds and Hugh Jackman announced on their respective social media accounts Thursday that their friendly feud with each other has officially come to an end… for now, at least. As a way to mend their “broken relationship,” the actors revealed their plans to make ads for each other’s companies — Reynolds is the owner of Aviation Gin, while Jackman is the creator of Laughing Man Coffee — and of course, each expects to out-do the other. The Deadpool actor later re-posted the same photo on his Instagram Stories from another user, but it was edited to include a grenade in their hands, a pin from the explosive weapon in Reynold’s mouth, and Jackman’s Wolverine claw behind his back in the mirror. Since that time, Jackman and Reynolds, who co-starred in X-Men Origins: Wolverine in 2009, have continued their public trolling and found ways to poke fun at the other on social media. This past year was no different. Playing up on their lovingly antagonistic relationship in April 2018, Jackman tried to record a birthday message for a fan on Twitter, only to be interrupted by Reynold’s Deadpool. As the Wolverine actor started to record his well-wishes, Reynolds began singing in the background. “When you’re trying to record a heartfelt birthday message …. but are interrupted by the least greatest showman,” he wrote on Twitter. “Don’t give him too much attention,” Jackman said in the clip. In October, for Reynold’s 42nd birthday, the pair had another hilarious exchange on social media. Given the nature of their relationship, Jackman naturally celebrated his friend’s big day by trolling him. “Because I’m told that I AM THE NICEST GUY and you’re NOT. @VancityReynolds … I will let you hug me. Just this once. On your birthday,” he wrote alongside a picture of the pair embracing each other. “Hugh Jackman’s upcoming performance in The Frontrunner has fooled some people into thinking he deserves an award, but before voting begins, some people should consider these facts,” the video, clearly narrated by Reynolds, began. The video then listed a number of untrue facts about the actor. “Is this the type of amazing actor and nice person we want delivering a preachy liberal speech this awards season? Or maybe there’s a real foreigner from a bordering country who would really love it a lot,” he added as a glamour shot of the Canadian actor popped up on the screen. And most recently in December, Jackman, with the help of pal Jake Gyllenhaal pranked Reynolds by inviting him to an ugly Christmas sweater party that, well, wasn’t really an ugly Christmas sweater party. Meanwhile, Jackman and Gyllenhaal seemed extra-happy with themselves, the duo slapping one another’s hand in the candid shot. Chrissy Teigen showed off her mettle as a model Thursday. The star, 33, took to Instagram from on location in Morocco, where she was preparing to step in front of the camera when she discovered a blemish above her right eye. ‘So I’m getting ready, about to get into hair and makeup, because we’re filming something awesome in Morocco – but what is this?’ she asked, focusing on the reddened area. The Utah-born stunner didn’t let the setback interrupt her plans, as a subsequent clip in her social media stream showed her getting worked on in a makeup chair with a beret on, and her lustrous blonde locks coming down. ‘I see you little guy, trying to come through,’ said the mom-of-two – to daughter Luna, two, and son Miles, eight months, with husband John Legend. In spite of her glamorous profession, the Sports Illustrated Swimsuit issue alum has never hesitated to admit to imperfections, as she did in November of 2017 in taking to Snapchat to complain about how her skin looked during her time of menstruation. ‘This is my skin on my period, look at it – so angry,’ the Sports Illustrated alum said as she contorted her face to demonstrate the differences. She continued: ‘The Crème de la Mer is so beautiful. That’s the one where I’m like, ugh, I can’t believe I’m doing this. But yeah, it’s my guilty thing. Because truly everything else I buy is very drugstore.